Mix the dry rub ingredients in small bowl. Sprinkle dry rub all over the pork roast, pressing into the pork. Place pork in the large dutch oven and cover with lid. Roast for 4 hours or until fork tender and shreds easily. Brush the roast with cooking liquid every hour. Remove from oven and let stand until cool enough to handle. 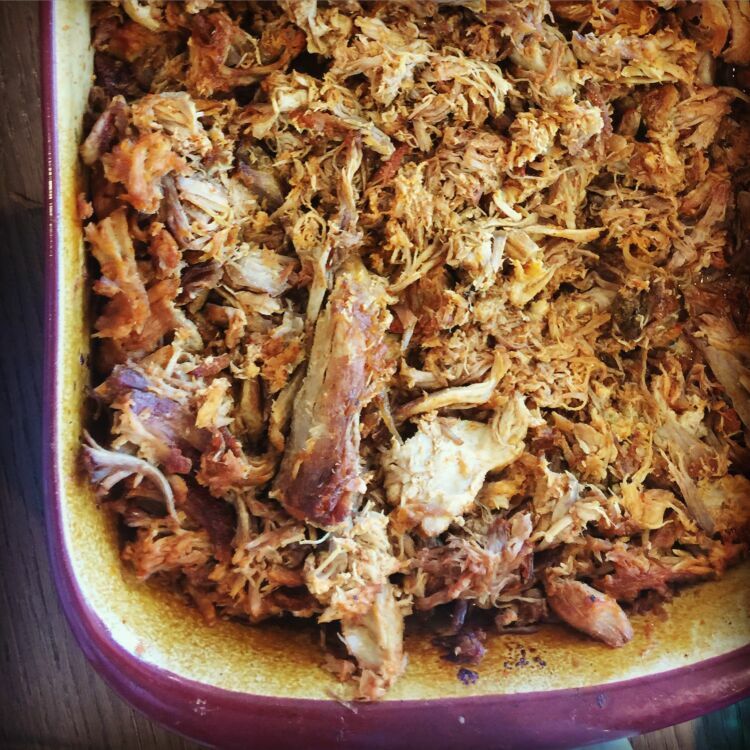 Shred the pork with a fork or tongs into bite size pieces. Serve on hamburger buns topped with BBQ sauce and cole slaw.